The British Virgin Islands are just a stone’s throw from St. Thomas and St. John, and they beckon travelers with their stunning natural beauty, eclectic shops, and unique restaurants. 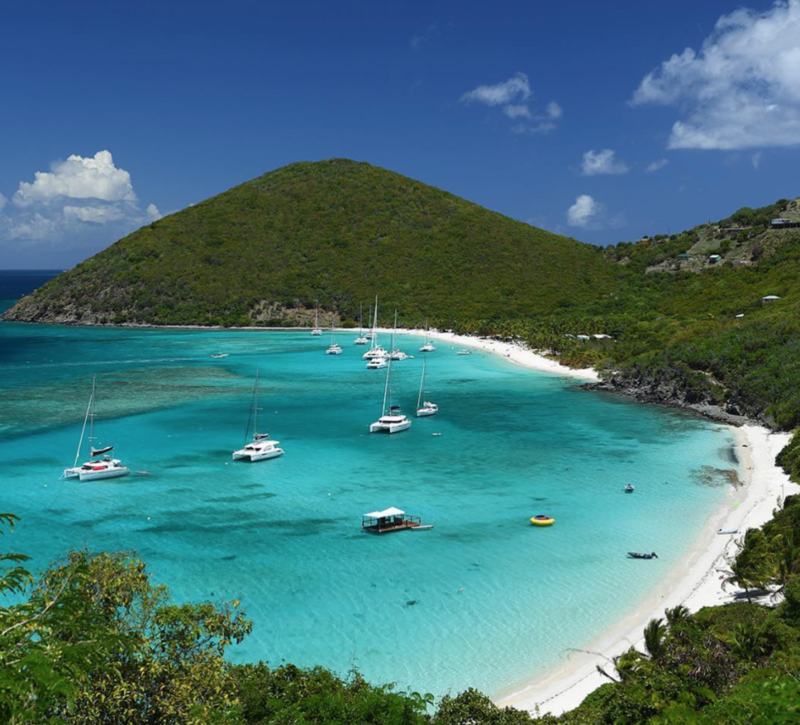 With regular ferry runs and dozens of day trip charters, getting to the BVI is easy. Native Son Ferry operates a regular schedule between St. Thomas and Tortola, making an excursion to the largest British Virgin Island and beyond simple and straightforward. Travel on one of their stable, high-speed ferries for an exhilarating ride through an amazing world of islands and watercraft. Whether you arrive in Road Town or West End your first stop should be Pusser’s. At these Caribbean mainstays you can rub elbows with visitors and locals while you take in the restaurants’ beautiful harbor views and enjoy regional dishes like jerk chicken. Don’t forget to try a Pusser’s Painkiller. Once you’ve whetted your appetite, it’s time for serious shopping. The new Tortola Pier Park at the cruise ship dock offers exciting shopping opportunities with unique BVI stores, new concept businesses, international brands plus dining and entertainment. At Mi Amor Jewellers, at Romasco Place in Road Town, you’ll find luxury brand jewelry and watches at duty free prices. Next, head to HIHO at the Moorings Marina, Wickham’s Cay II or on the beach at Trellis Bay. Their casual, comfortable clothing is all designed in the Caribbean. When you’re on Tortola be sure to visit Dolphin Discovery. Bottlenose dolphins, who naturally make their home in Virgin Islands waters, interact with visitors in a natural open water pen. Getting a kiss, hug or handshake from one of these friendly mammals makes for a great photo op and is sure to bring a smile to everyone’s face. 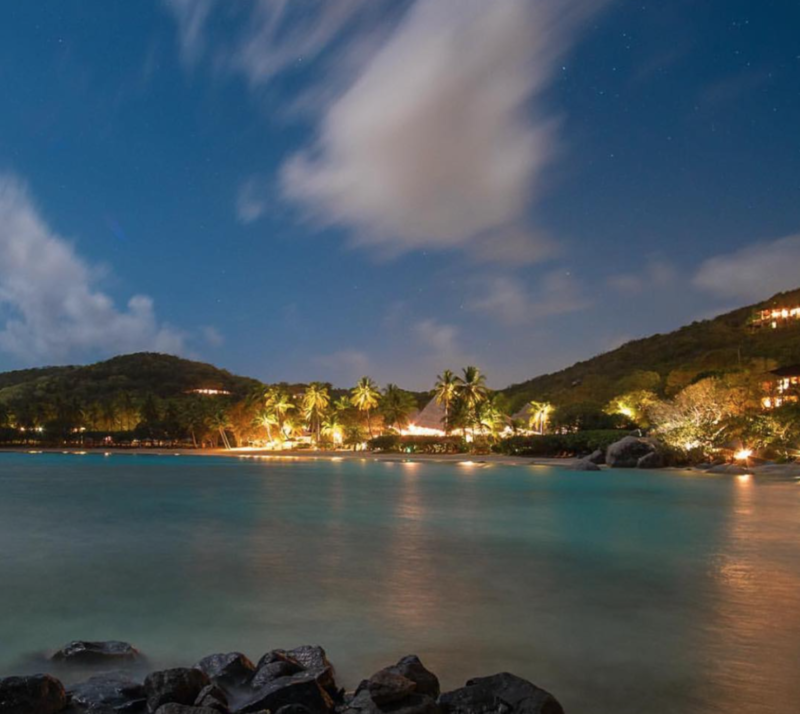 End your day on Tortola at beautiful Cane Garden Bay. This pristine strand offers more than soft white sand, calm blue waters, and palms swaying gently in the breeze. There are also plenty of beach bars, restaurants, shops and watersports to ensure both tranquility and fun. Plan to visit the Callwood Rum Distillery, It’s claimed to be the longest continuously operating rum distillery in the Caribbean. Regular ferry service and day sails from St. Thomas and St. John make this tiny British Virgin worth visiting. Soggy Dollar bar on dreamy White Bay is the place to be. Just to the east, around the point is Great Bay, another beach rimmed with watering holes. One is world famous: Foxy’s Tamarind Bar. With a constant influx of day-charter revelers, every day’s a party! This island is even further up the chain, but don’t let the distance stop you from making the trip. 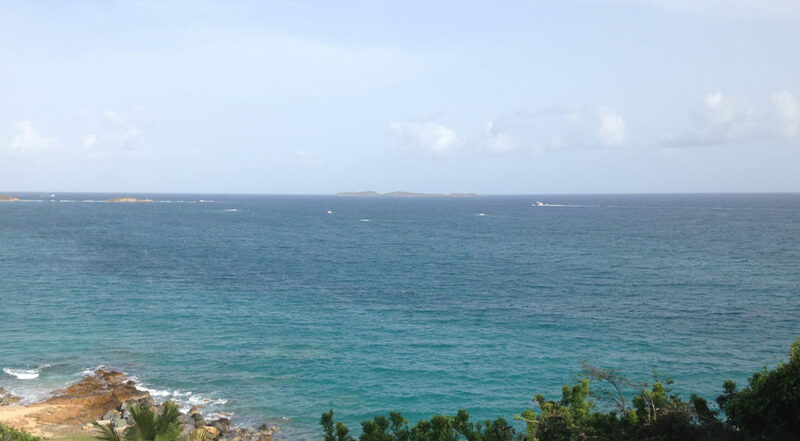 Virgin Gorda is home to The Baths, one of the most beautiful natural sites in the world. Here, an incredibly picturesque beach is framed with massive granite boulders, forming enchanting grottos and tunnels. Once you’ve worked up an appetite, head to the Top of the Baths restaurant for a gorgeous view and a refreshing dip in the restaurant’s pool. On the menu, you’ll find Caribbean dishes like stewed oxtail and traditional American fare. At the adjacent Caribbean Flavor shop there’s handcrafted art, jewelry, spices, shells and great island clothing. Not surprisingly, there are many wonderful accommodations in the British Virgins, and almost all involve a beach! Choices on Tortola range from the boutique-style Sugar Mill Hotel set amid lush tropical gardens to Sebastian’s on the Beach located on Little Apple Bay. 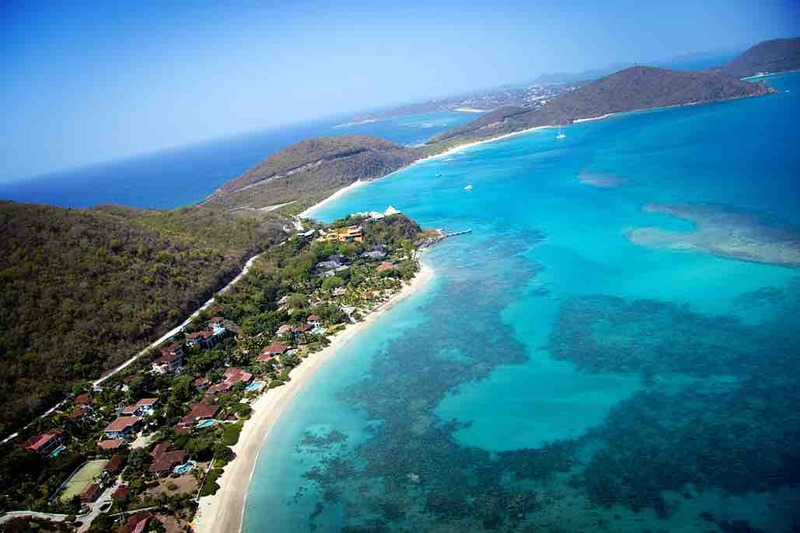 On Jost Van Dyke you can rent a cabin or a tent on the sand at Ivan’s Stress Free Bar & Campground. The legendary Rosewood Little Dix Bay on Virgin Gorda is currently undergoing a massive restoration that will bring a new level of sophistication in keeping with the natural setting. The resort is scheduled to reopen in time for the 2017 holiday season with beautiful new interiors, amenities and services. 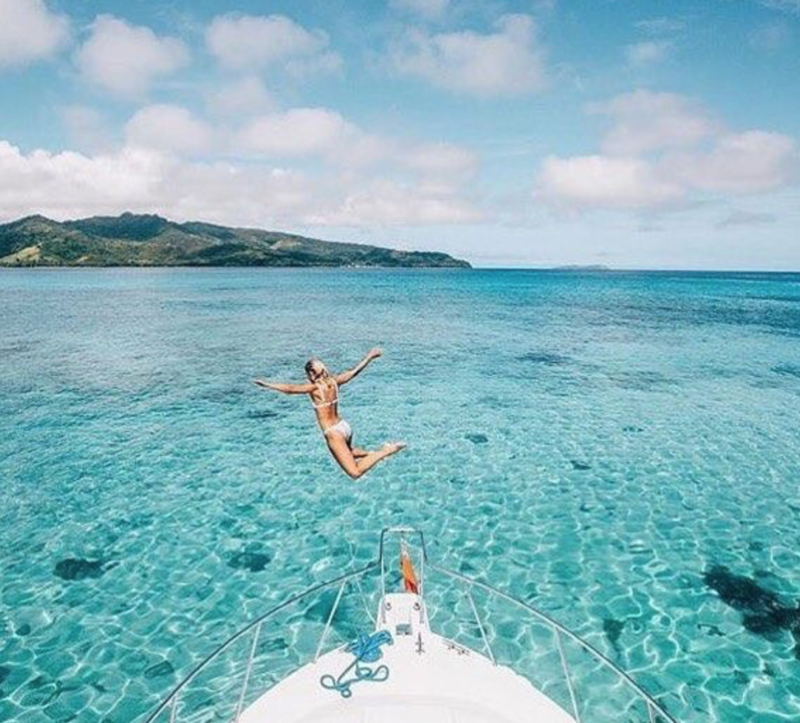 The waters surrounding the British Virgins are just as stunning as the islands themselves and there is no shortage of sail and powerboat options that can provide an exhilarating day of ocean exploration. Check with Cruz Bay Watersports, Wish Upon a Star Charters, St. Thomas Boat Rental and Magic Moments. 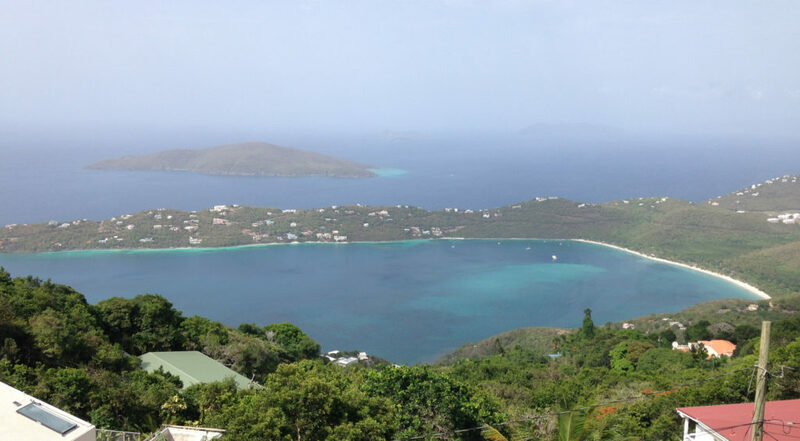 Look for trips that will take you to The Baths and Norman Island or to Jost for the Soggy Dollar Bar and Foxy’s on Great Bay. Divers, don’t miss the opportunity to dive the Wreck of the Rhone just off Salt Island. It’s just one of the many life-list dives located in this small part of paradise. Remember, when visiting the British Virgin Islands, you will need a current passport. Whether you opt to discover the BVI’s land-based activities or you go for a day of adventure by sea, the nearby British Virgin Islands are well worth the visit.